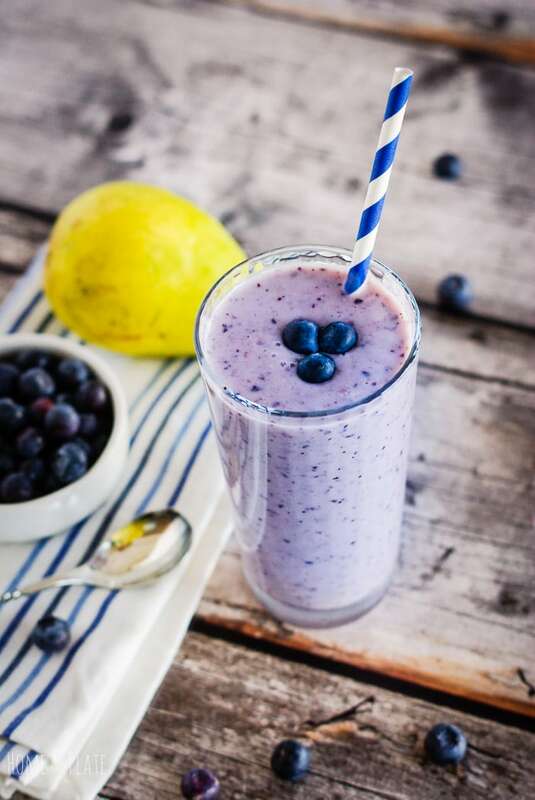 Start your mornings by nourishing your body with wholesome goodness and fresh seasonal fruit with this Whole Grain Smoothie with Pears and Blueberries. 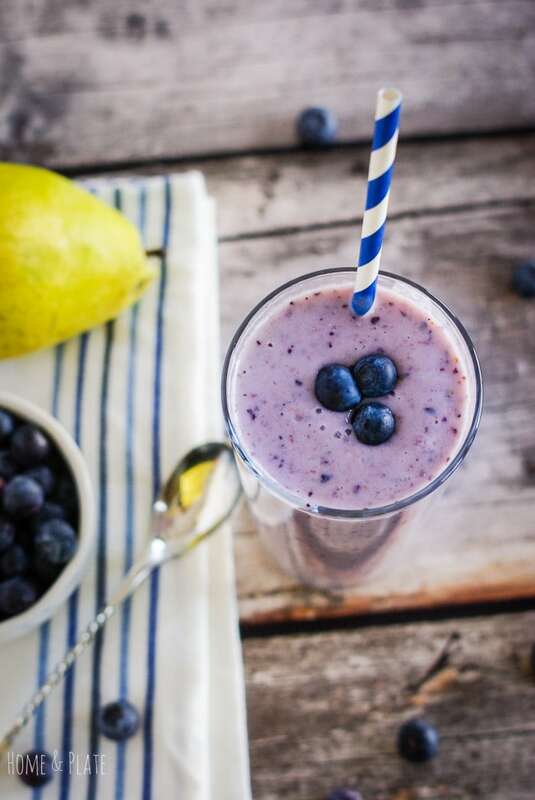 Drink this oatmeal smoothie with pears, blueberries and bananas to kick start your day. Cereal in the morning can get boring as can the same old oatmeal bowl. Add your fiber to this deliciously sweet smoothie and drink your breakfast instead. It’s easy to make, fulfilling and nutritious. Did I mention delicious? Blend together juicy pears, sweet blueberries and ripe banana with Greek yogurt and quick cooking oats. What’s in it? 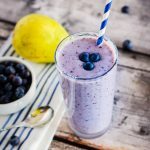 Protein from the yogurt, fiber from the pears, blueberries and oats, potassium from the banana and blueberries, as well as antioxidants, vitamins and minerals. Everyone in my house love a creative smoothie. 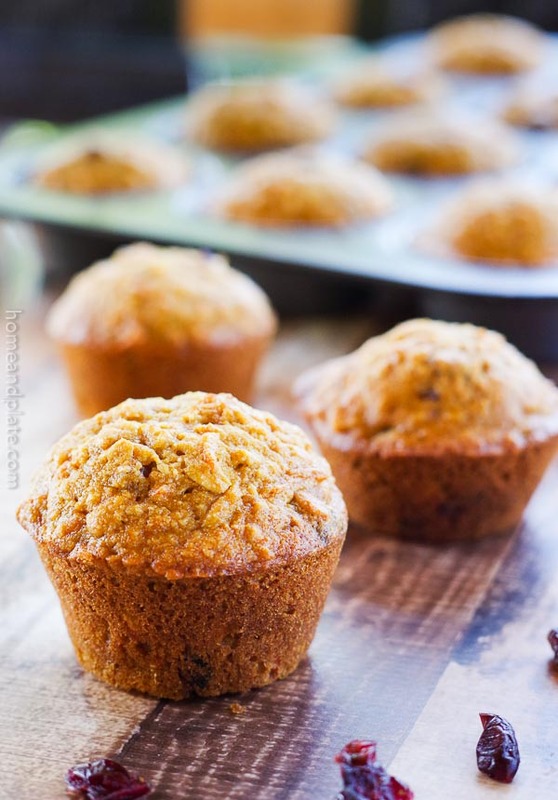 We love to experiment with different flavors and add ins. Be sure to try my Tropicana Original Cran-Pineapple Smoothie as well as my Fresh Picked Sweet Peach Smoothie. Chop the oats in a blender until finely chopped. Add the remaining ingredients and blend until smooth and creamy. There’s a whole lot going on in this smoothie – and it sounds like a great meal replacement. 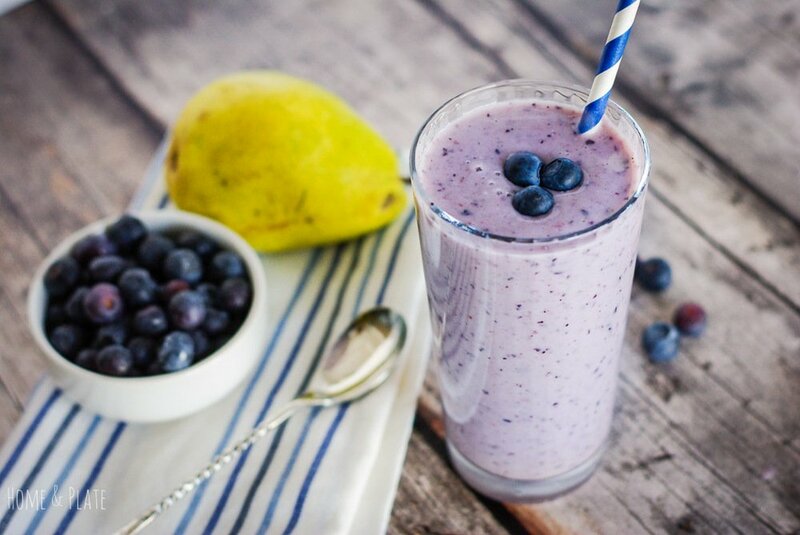 The smoothie that eats like a meal! LOL! 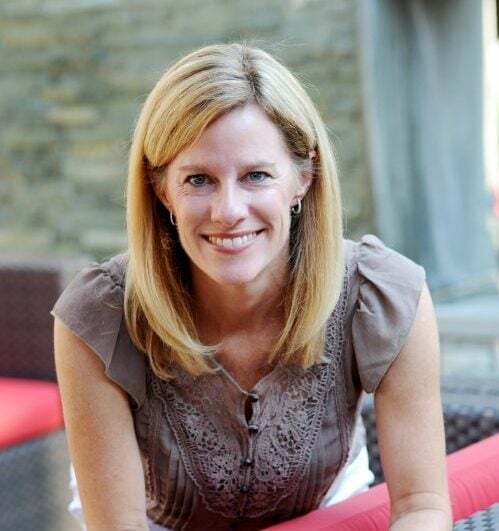 Thanks Lisa…it will certainly hold you over until lunch. That sounds like quite the smoothie. Love the combination of flavors! I love smoothies….especially for breakfast. This one is packed with lots of flavour and looks pretty too. I love them for breakfast too. Love all the flavors and just can’t get enough. Thanks Gloria! Yum this looks so good and refreshing! I have all the ingredients so will be making it for breakfast tomorrow!